Home Australia Beer Under The Bridge – Felons Brewing Co.
Howard Smith Wharves’ Felons Brewing Co. is Brisbane’s latest venue to open its doors, brewery beer and serving up delicious food. 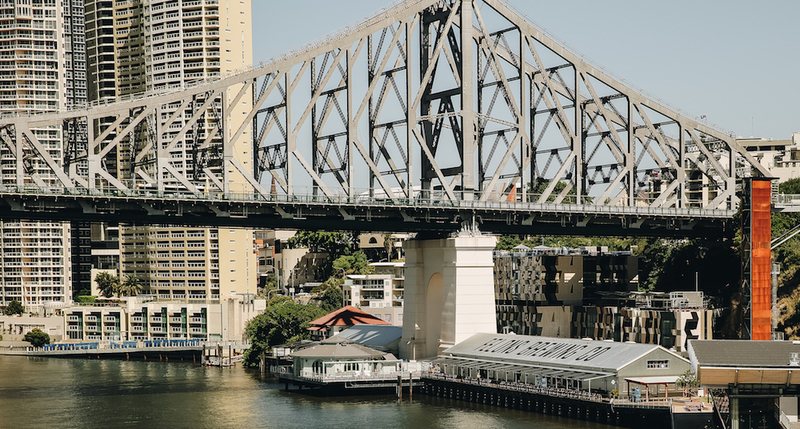 Nestled on the banks of the Brisbane River, under Story Bridge, the new venue is following in the steps of Wharves’ tradition by proudly displaying their name on the roof of the brewery, measuring a whopping 47 metres long and 5 metres wide. 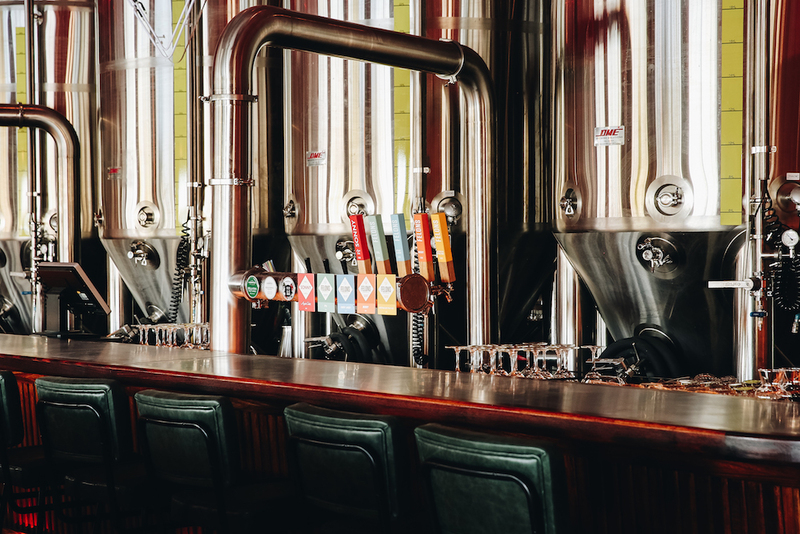 Lord Mayor Graham Quirk said Brisbane residents and visitors could raise a glass to the new brewery, thanks to Council’s support for the more extensive Howard Smith Wharves revitalisation. “For many years the heritage-listed wharf buildings have been closed to the public, however, thanks to a three-year restoration project, the precinct has been reimagined into a vibrant lifestyle precinct for both residents and tourists,” Cr Quirk said. The brewery is named after four felons who were the first settlers to find the Brisbane River and the team behind the brewery want to proudly tell the original founding story to the locals and beyond. “We’ve engaged renowned Australian contemporary painter and installation artist Anthony Lister to help us revitalising an old wooden 13.5m trawler boat as an ode to the Four Felons which will be completed by December 1st 2018. We’re excited to invite families to throw out a picnic rug on the grass, grab a six-pack of Felons Beer, a parcel of traditional fish and chips and kick back in beautiful natural surrounds,” continued Ash Cranston. The beer is freshly brewed onsite at Howard Smith Wharves, and there is a little something for everything. Expect a great range of beers and ciders, along with delicious food. “We are on a journey of discovery, taking inspiration from nature and our home down under the story bridge in Brisbane, Australia. We’re proud brewers, and we believe in brewing with passion and freedom. We brew harmoniously balanced beer which celebrates fresh and locally grown ingredients. We strive to brew drinkable, flavoursome beer, which is a bit like us: not to be taken too seriously,” said Tom Champion. Once the Howard Smith Wharves precinct is fully opened, the brewery will host events working and supporting locals local artisans and musicians. 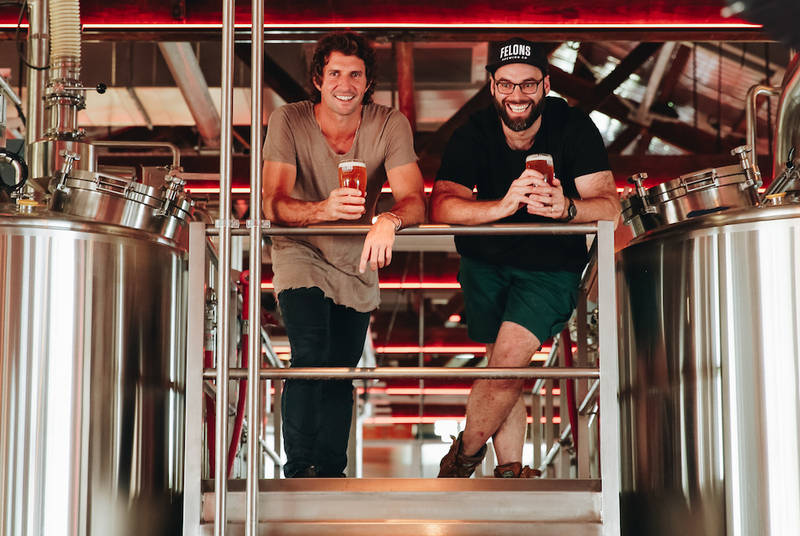 The Aussies founders are keen to impart is that they’re ‘brewed for Brisbane – by us, for you’ and are developing new ways to unite Brisbanites through pleasurable beers.